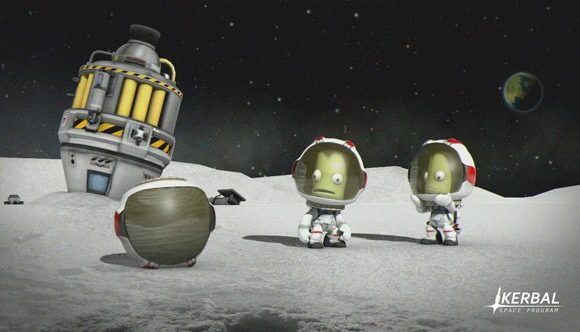 Two of the Kerbal Space Program developers who joined Valve in 2016 have left the company. As of May 2017, former KSP community Kasper Nahuijsen and producer Jose Palacios were said to have been at Valve for about six months, according to former Valve designer Roger Lundeen. They are thought to have been joined at the company by up to six other former KSP developers. It now seems, however, the the pair have left Valve. Nahuijsen’s LinkedIn profile states that he is now a senior software development consultant at a Netherlands-based consultancy. Palacios’ profile is unavailable at time of writing, but reports suggest that he too has left the company. The pair joined Valve alongside Ted Everett – who worked with them at KSP developer Squad. According to Valvetime, Everett seems to have remained with the company, along with five other former Squad employees who were thought to have joined Valve at the same time as Nahuijsen and Palacios. After leaving Squad, the three went on to found a new company, Seven Headed Studios. That tells us basically nothing, of course, but does seem to suggest that he and Palacios were allowed to retain ownership of the game after leaving the company, suggesting that the title, should it ever be released, will not be a Valve game. Valve’s next release will be the Dota 2 card game, Artifact. The Artifact release date puts the game just a few months away, in November. Valve also recently purchased Campo Santo, meaning the next game from the developers of Firewatch, titled In the Valley of the Gods, will also be published by the company.